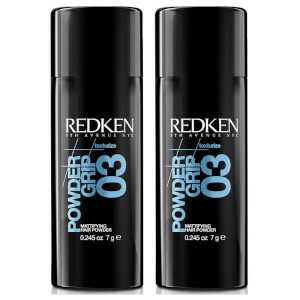 Duo Redken Powder Grip 03 is a mattifying hair powder which renew hair’s surface to create incredible texture and fullness with a modern matte finish. Shake a small amount directly onto roots for targeted volume. To add body and texture to the mid-lengths and ends, shake onto hands and work through hair.